Slaney Foods International, was established in 1970. Located in the heart of the Slaney Valley, one of Ireland’s prime farming regions, we pride ourselves on our reputation for sourcing and producing the highest quality Irish Beef. We have developed strong and successful long-term relationships with a variety of customers, including leading multiples and food service companies in Ireland, the UK, Europe and worldwide. 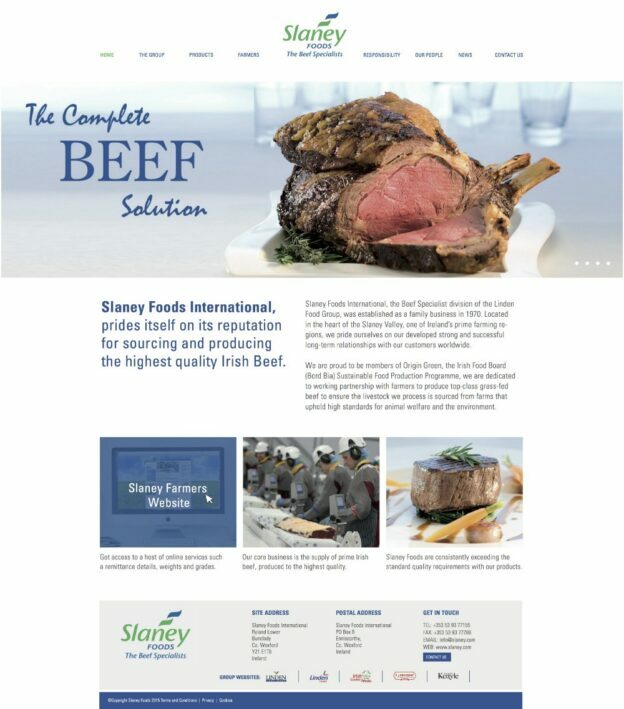 We worked together with Marika at Slaney Foods to design a beautiful bespoke website with individually designed pages showcasing the full range of products offered, including their Premium Hereford Irish Beef, Slaney Angus, Slaney Valley, Slaney Gold, and Slaney Organic. This entry was posted on April 4, 2016 by admin.